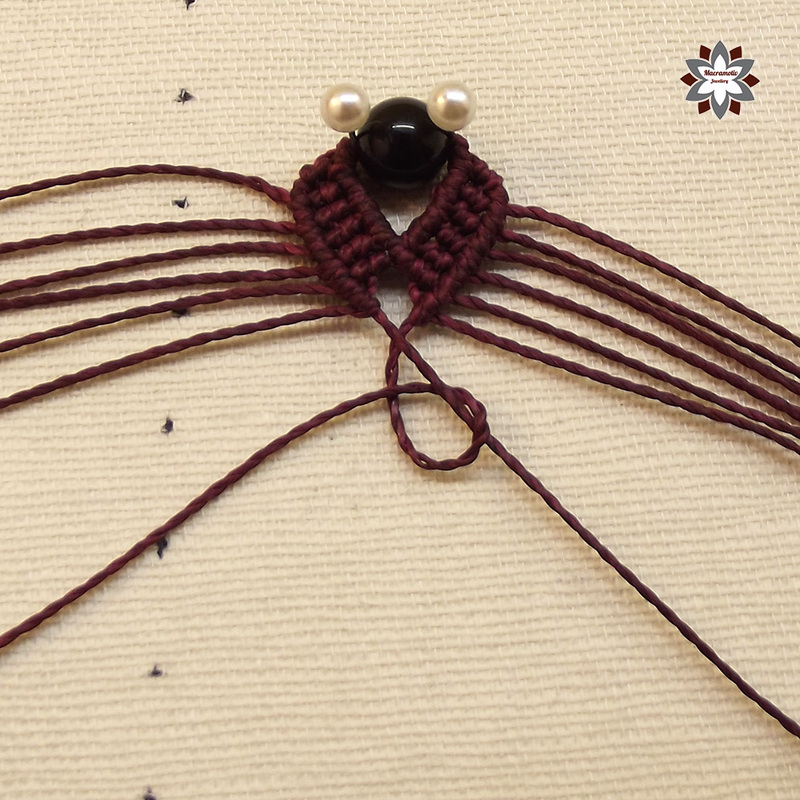 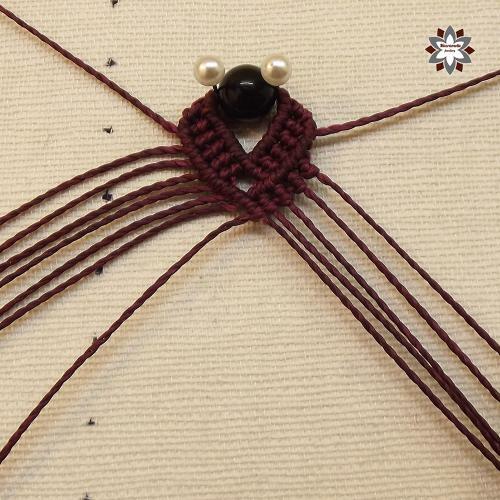 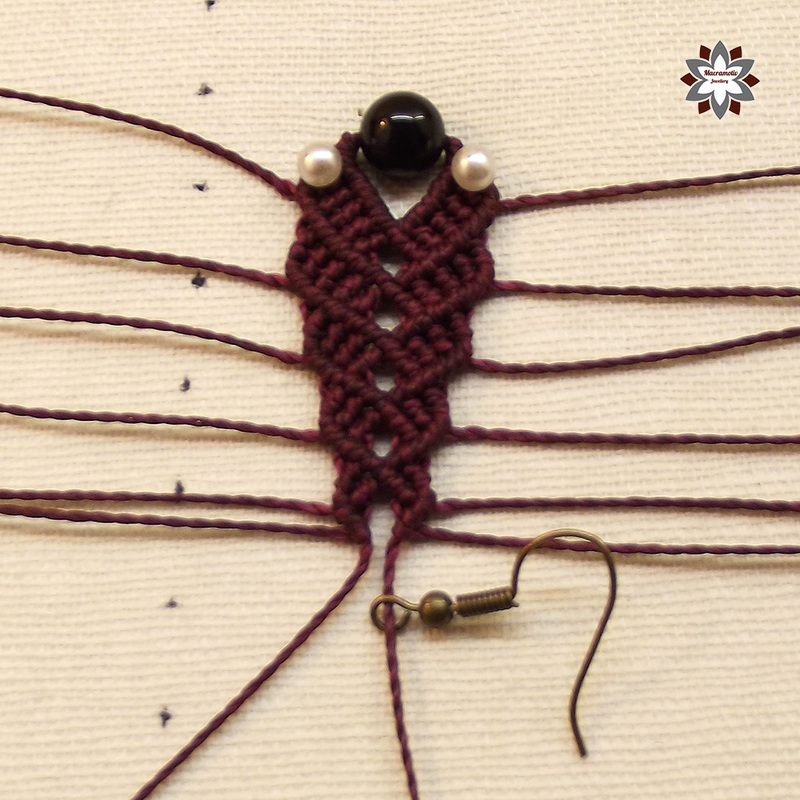 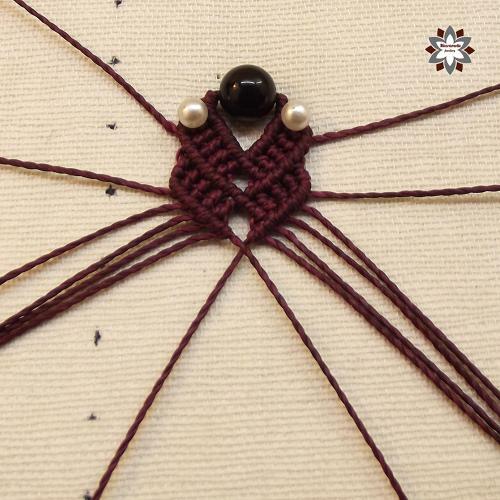 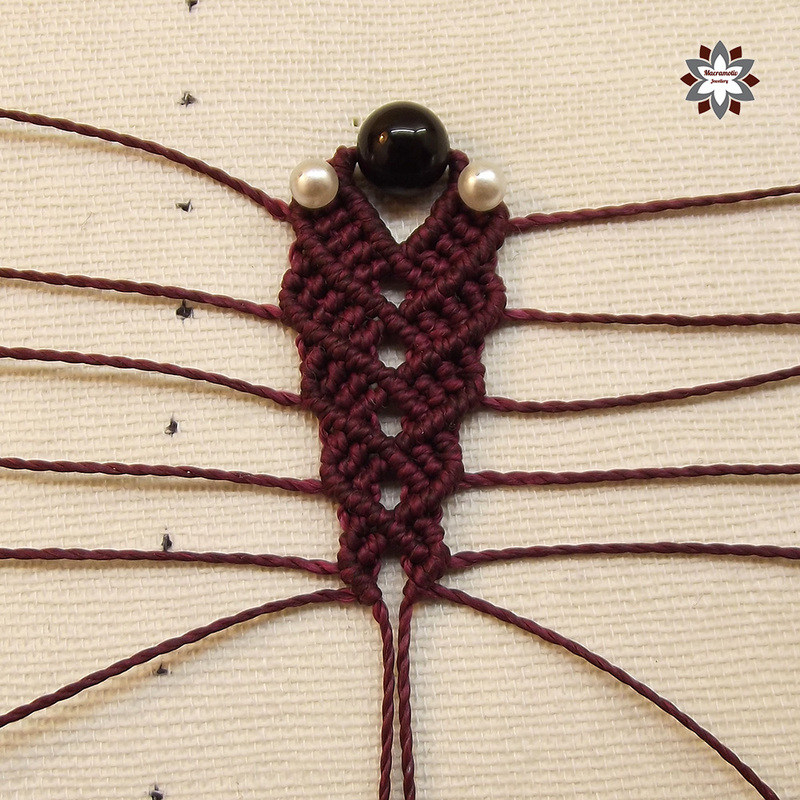 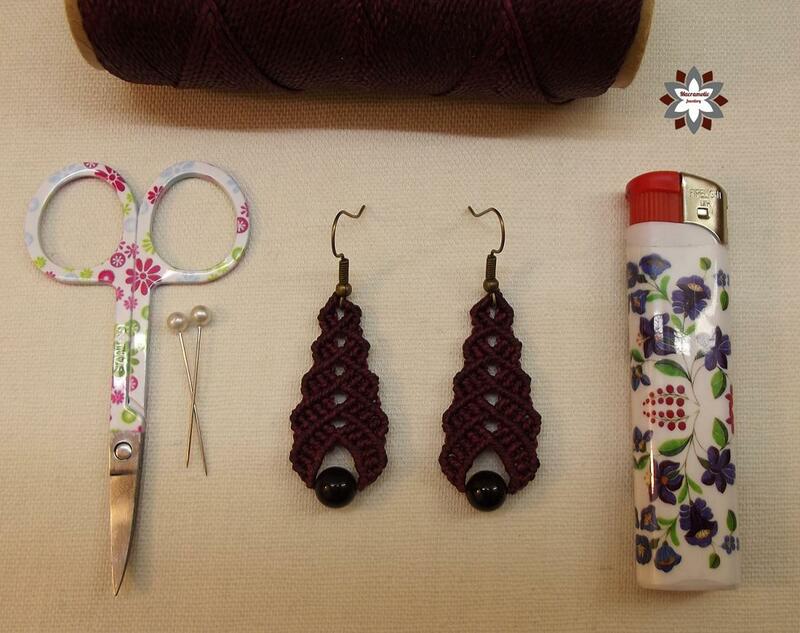 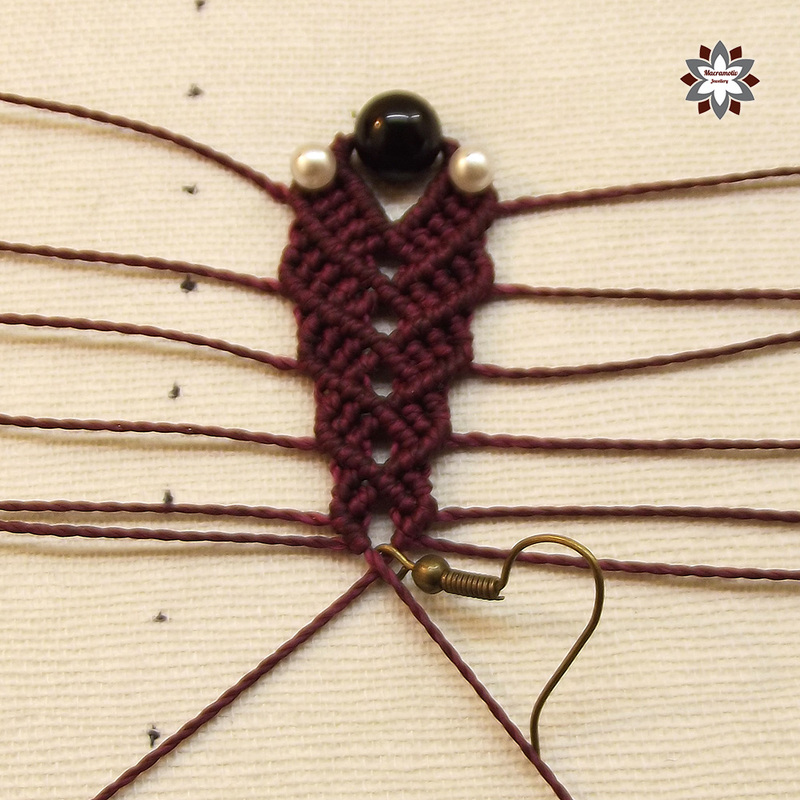 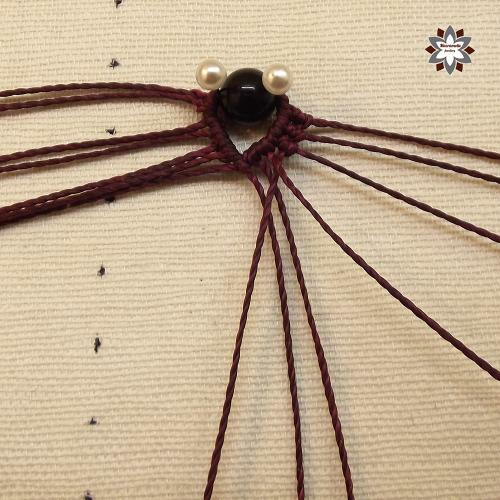 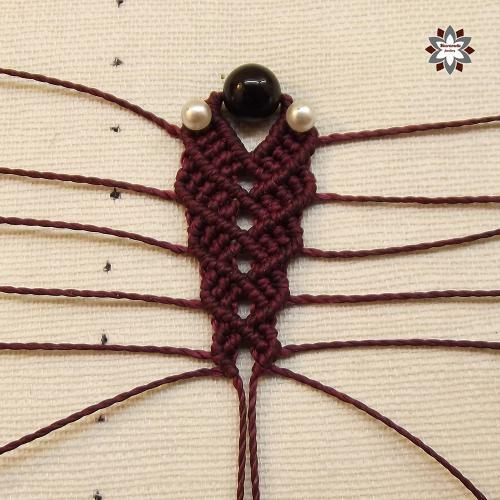 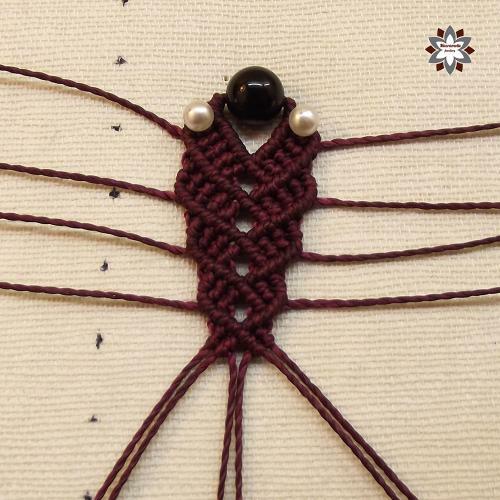 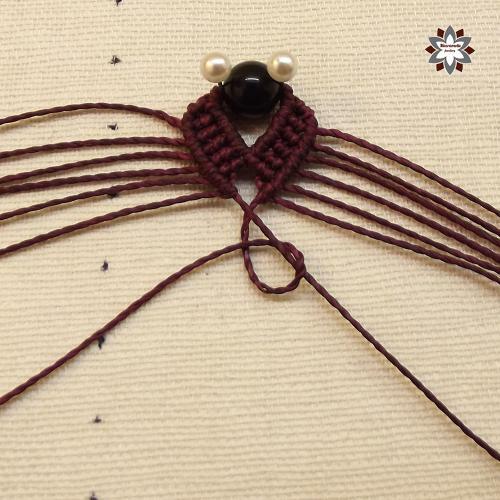 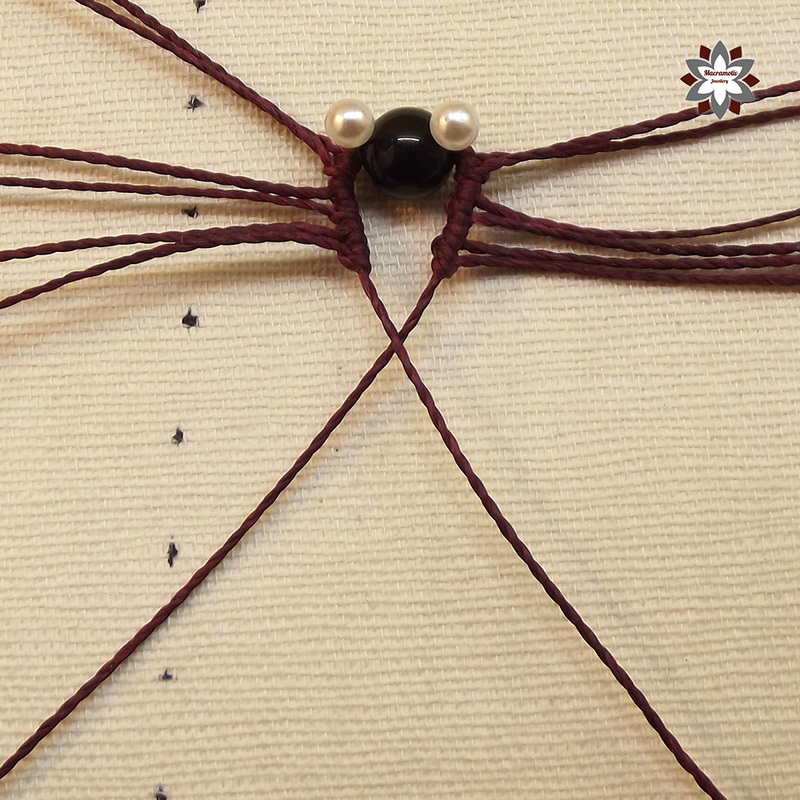 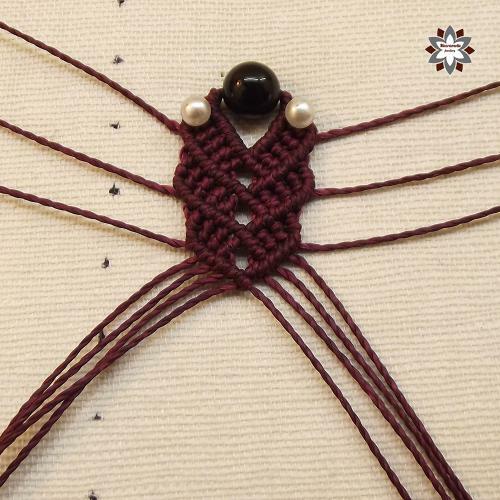 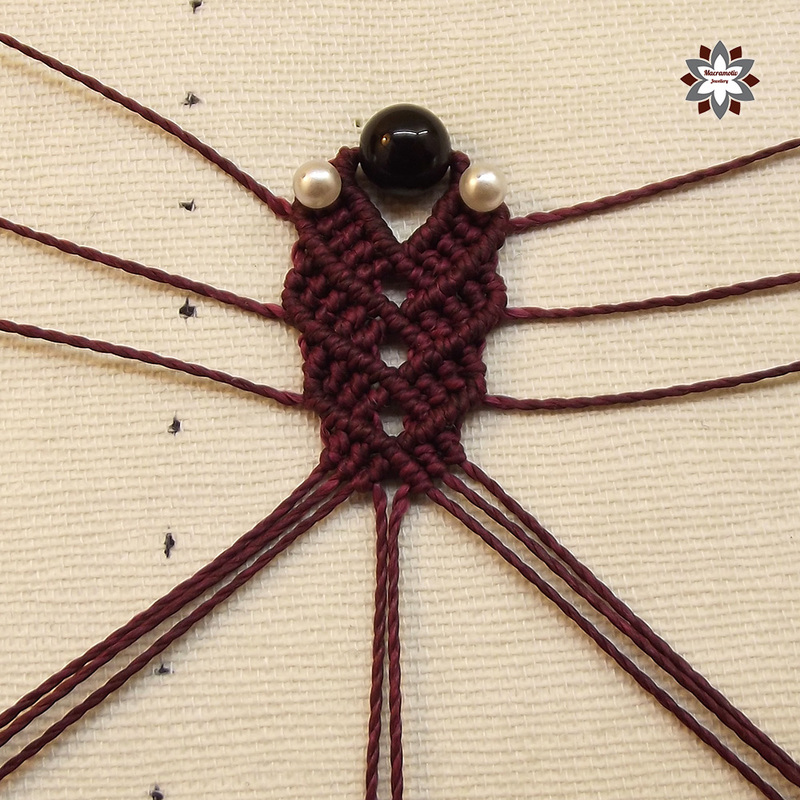 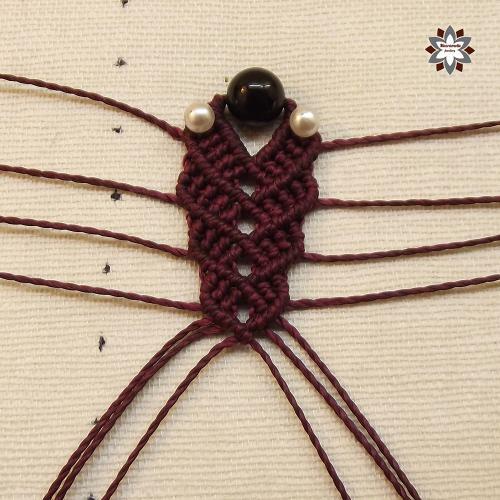 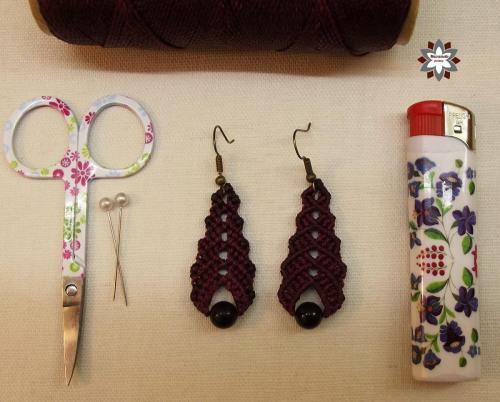 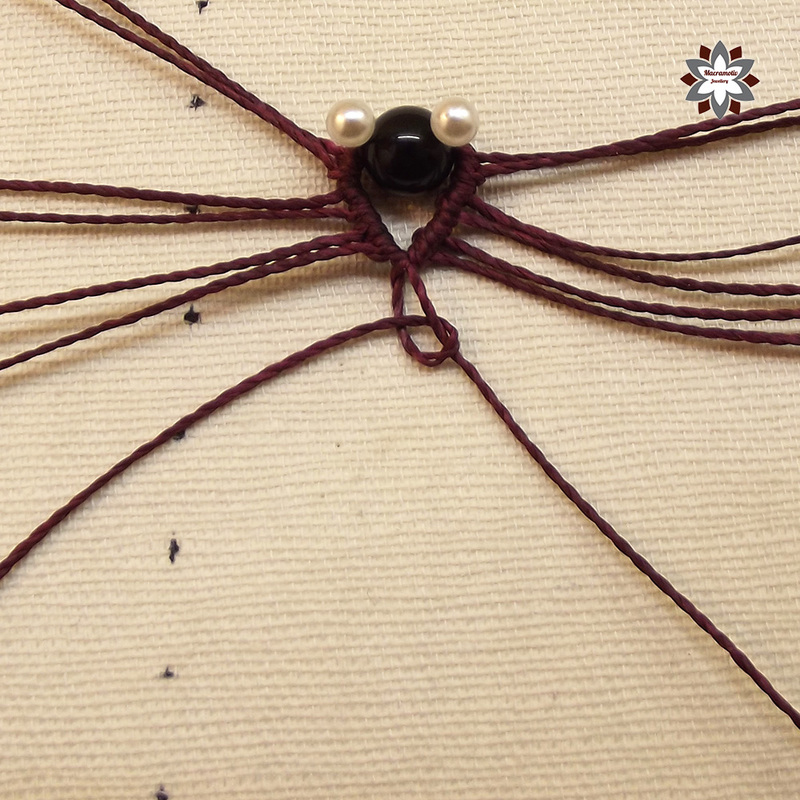 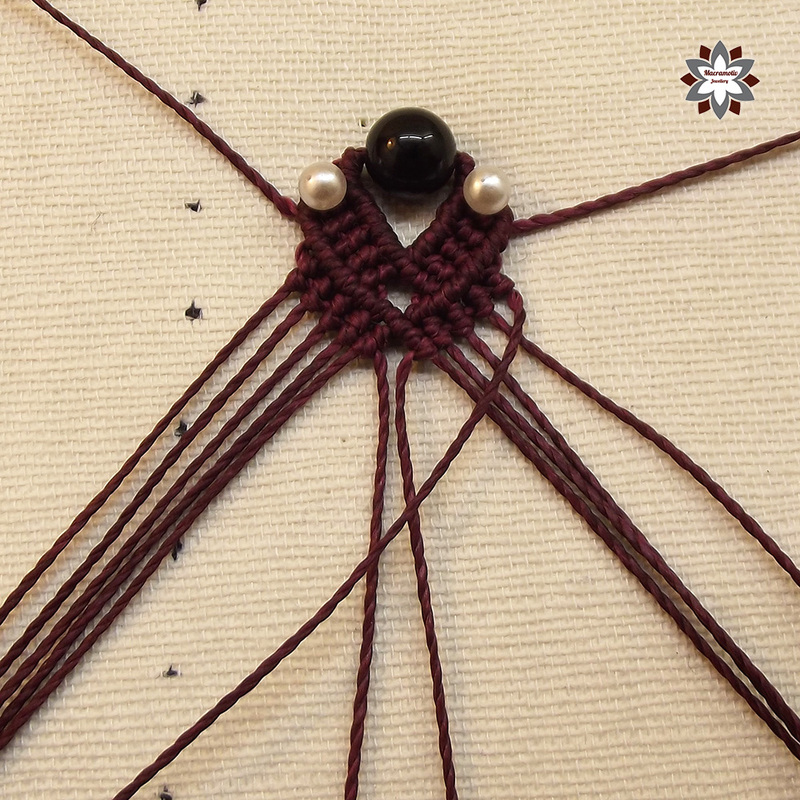 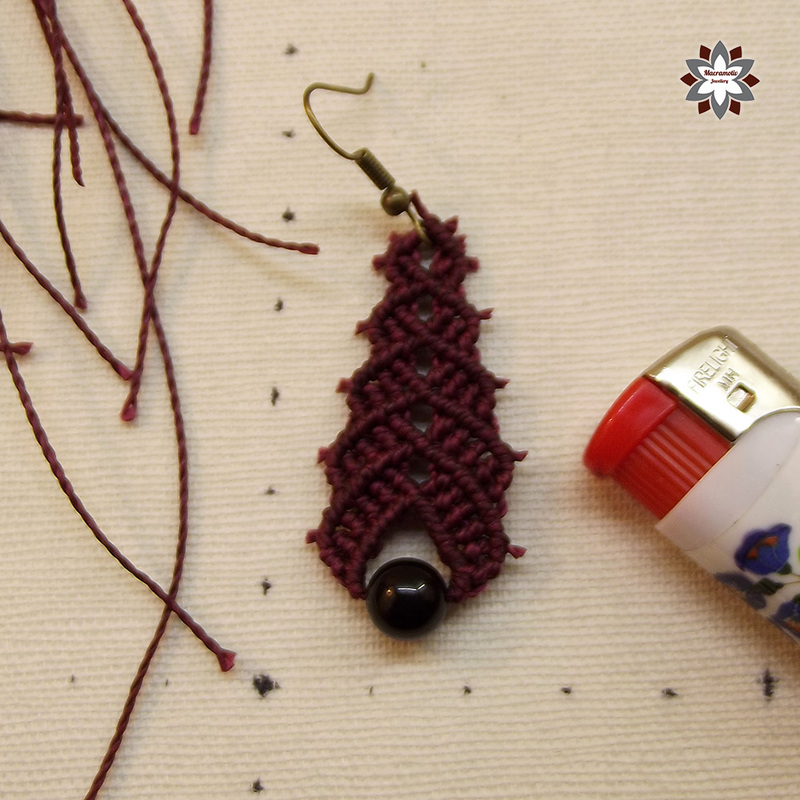 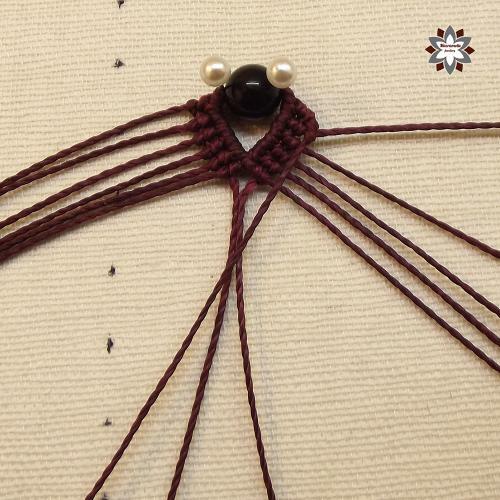 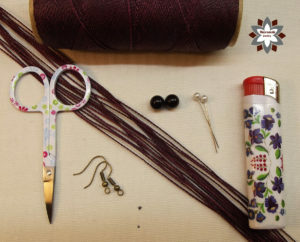 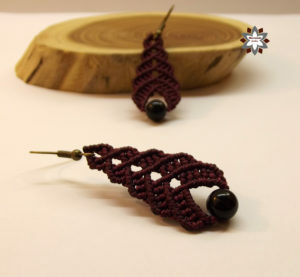 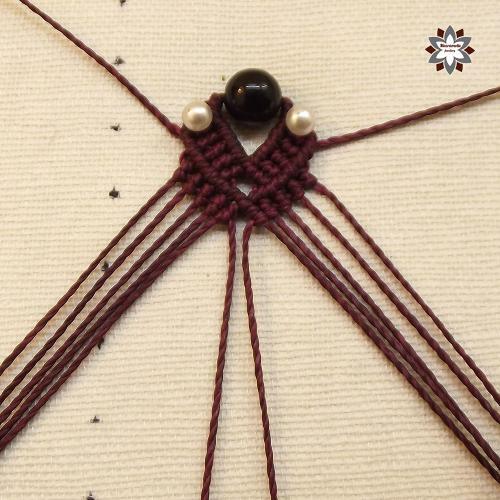 This pattern is very simple and the earring can be made really quickly, but the technique starts your brain to find out more and more structures and textures, I think. 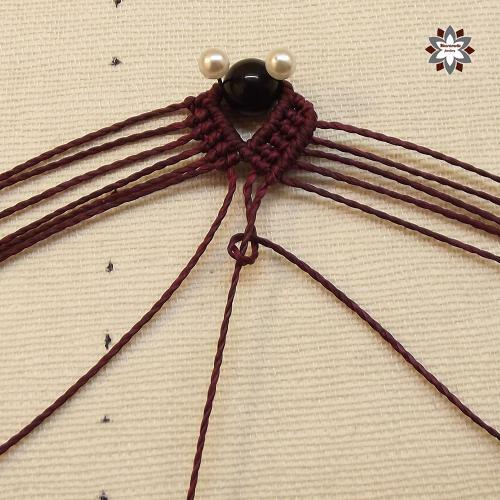 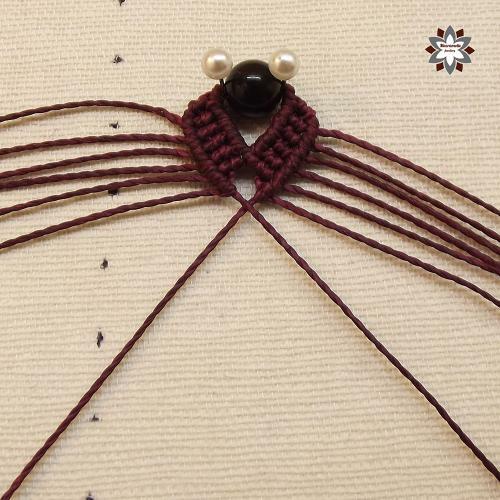 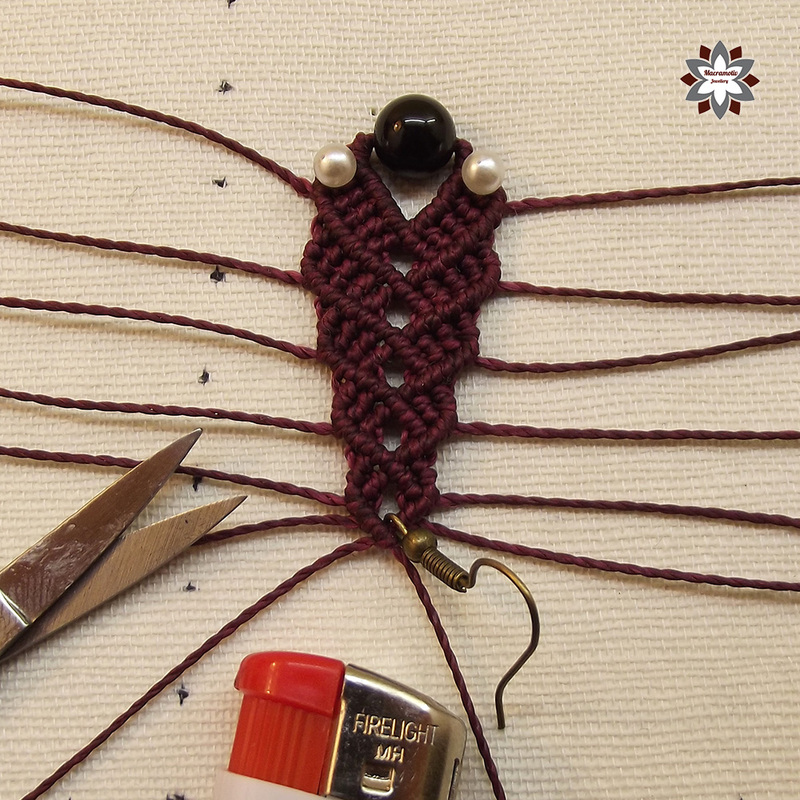 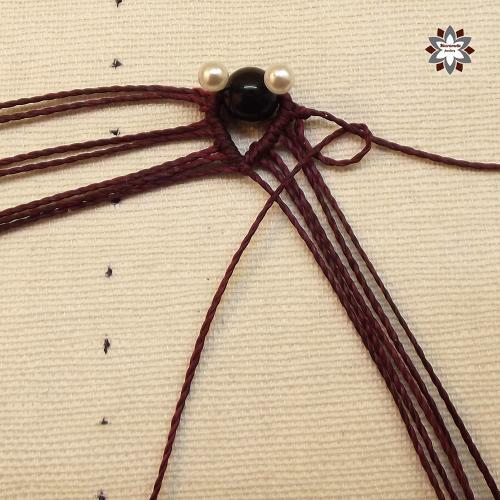 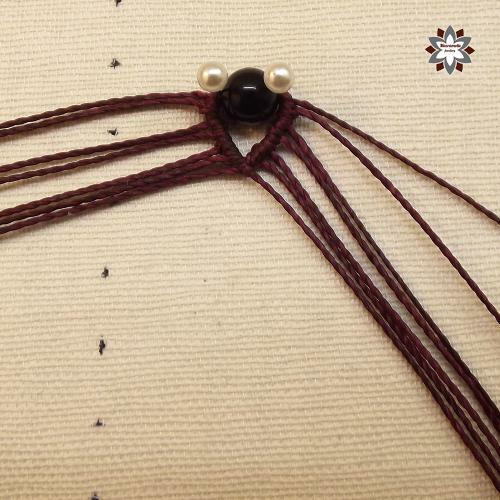 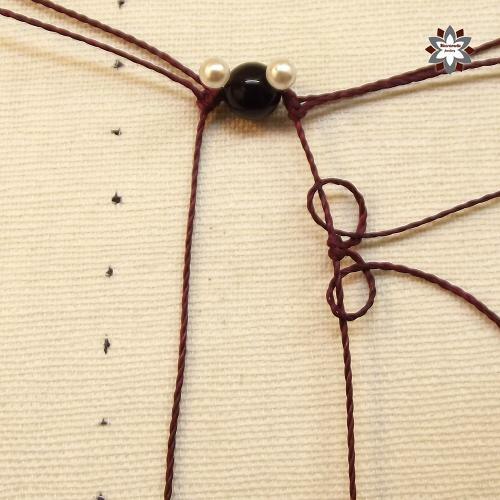 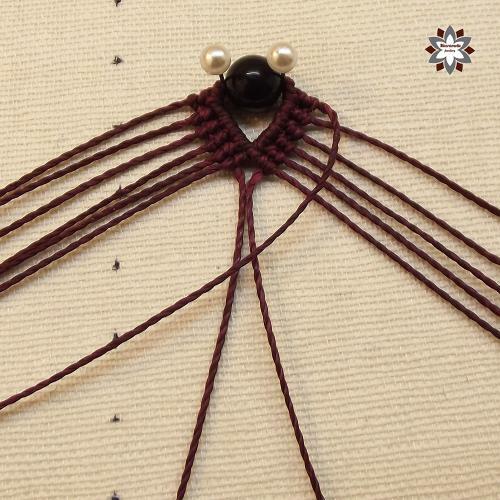 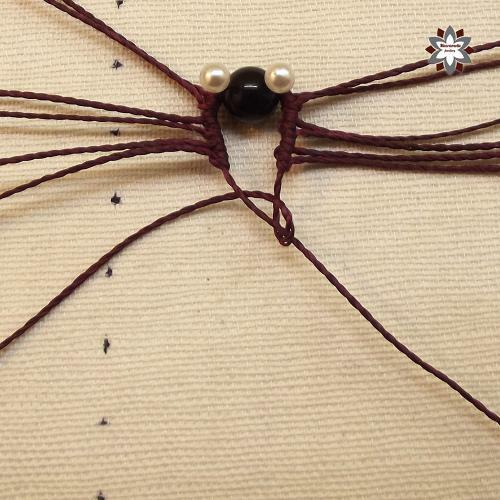 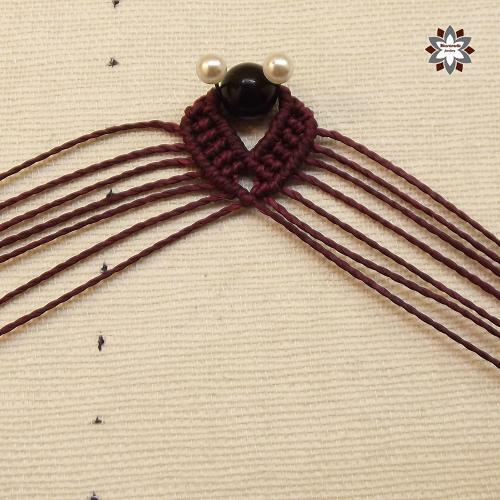 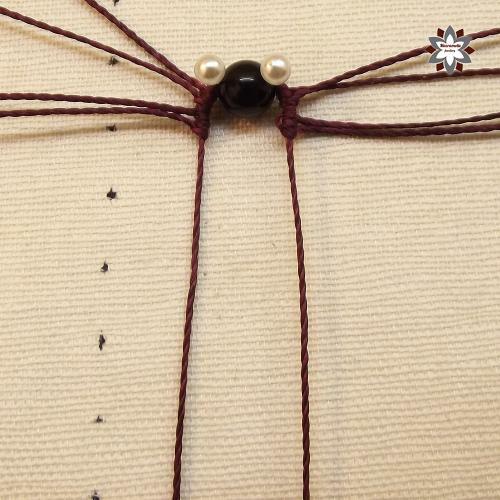 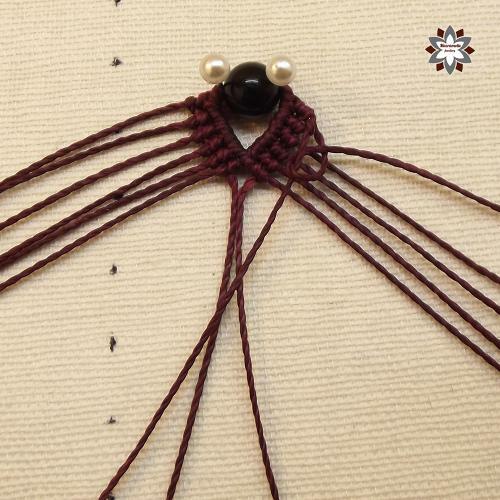 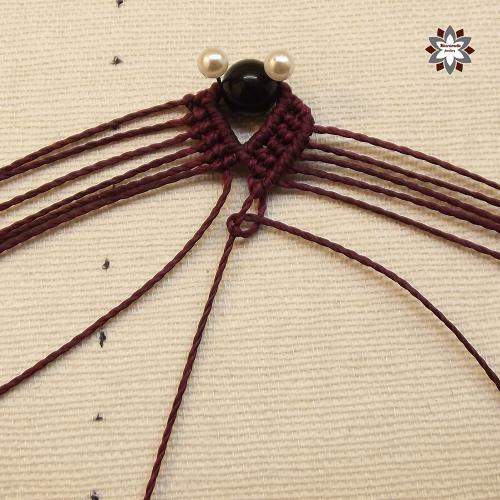 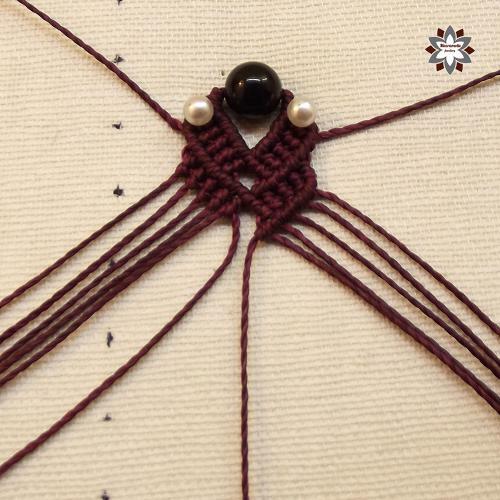 This is a lazy technique, because I just cut and burn the unnecessary cords, but I am planning to make another one like this with tiny beads in the middle holes and I will only burn the last few unwanted cords, so it will be prettier and cleaner. You will later can always choose to cut and burn or hide cords without burning them. 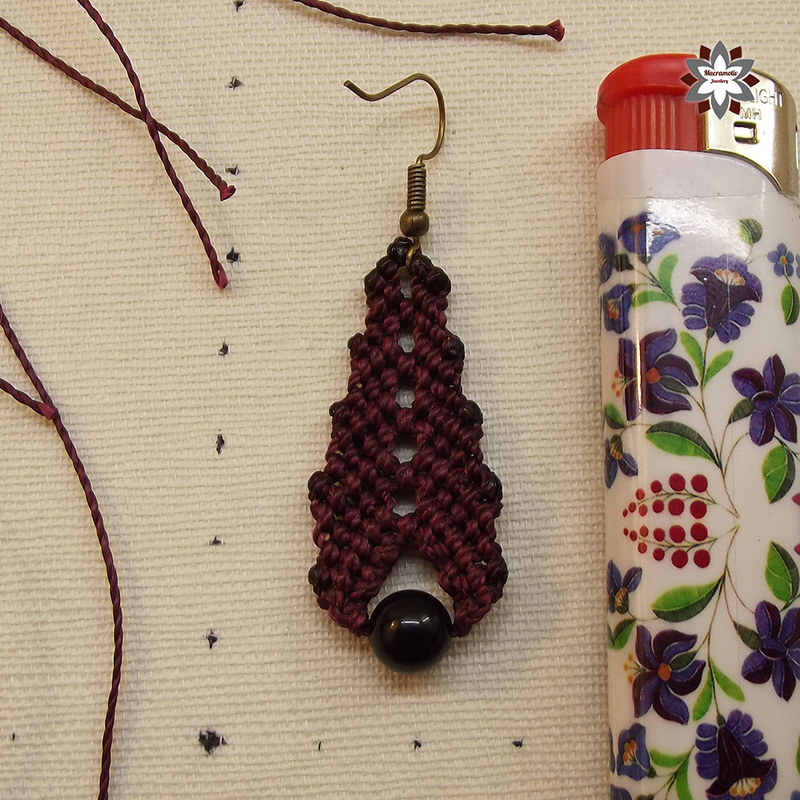 The next project is going to be that one. 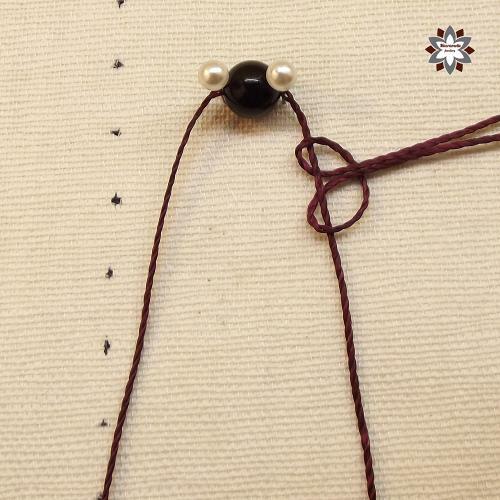 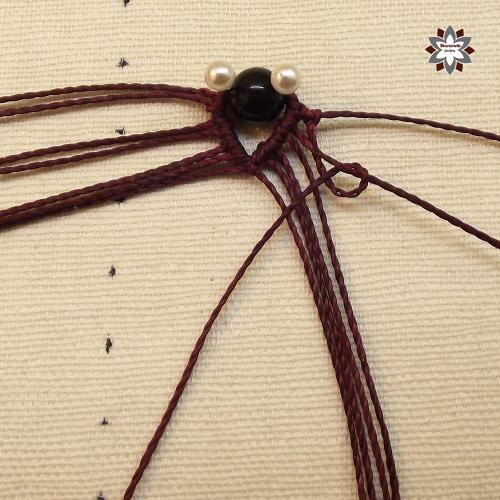 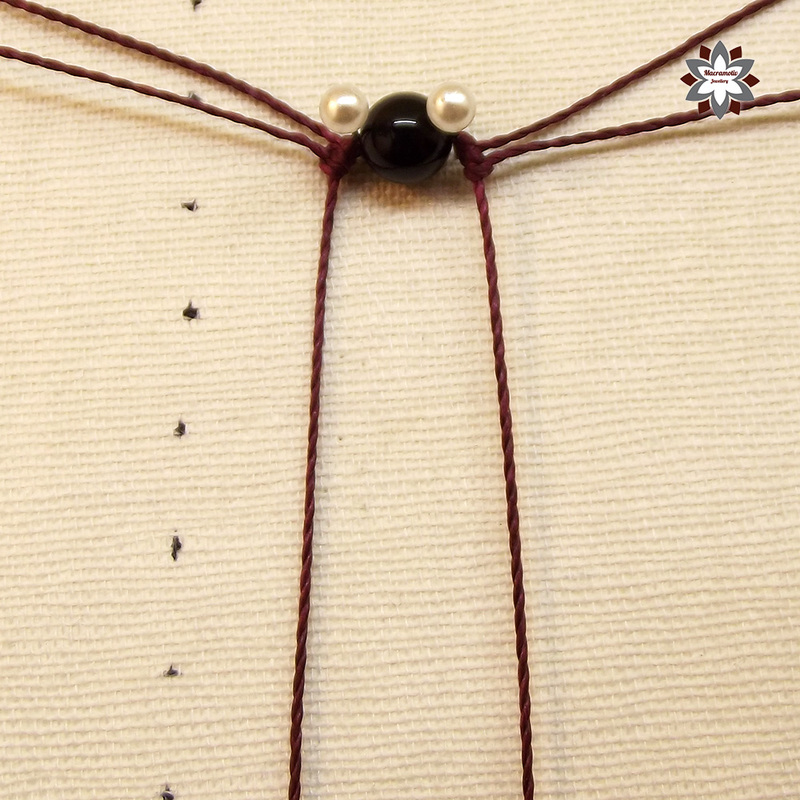 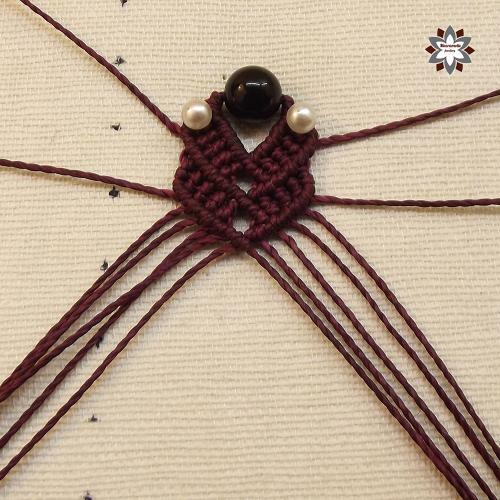 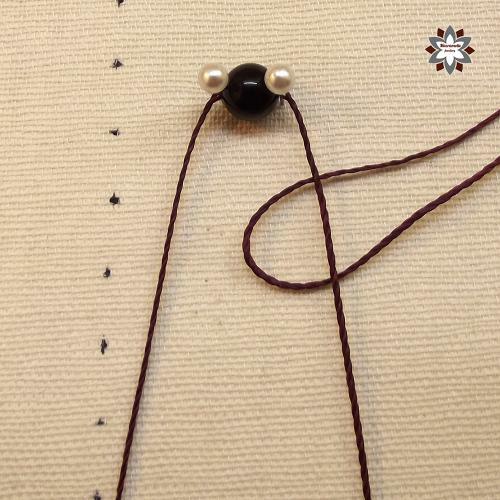 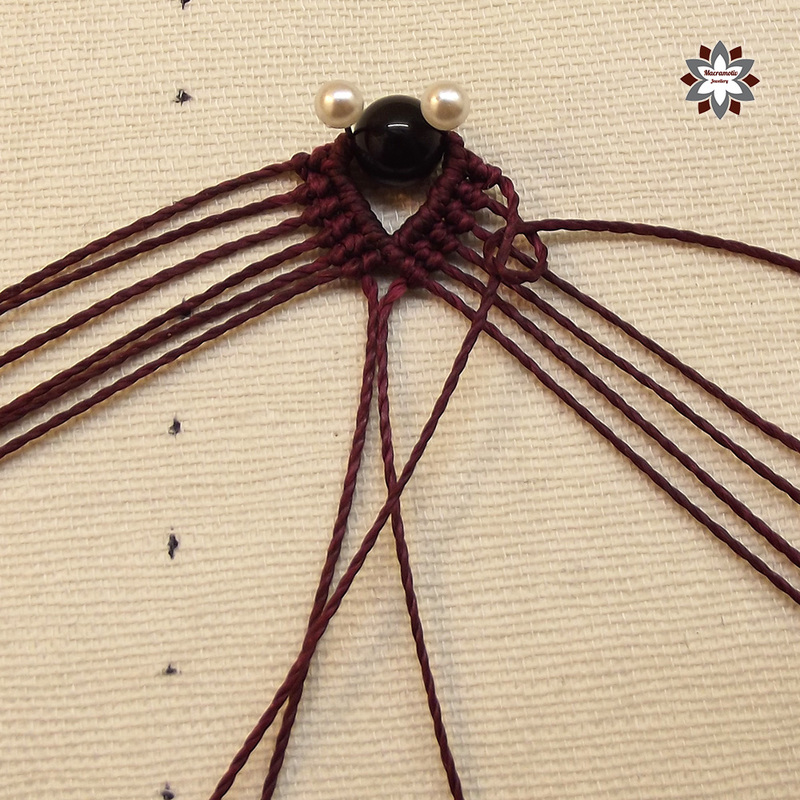 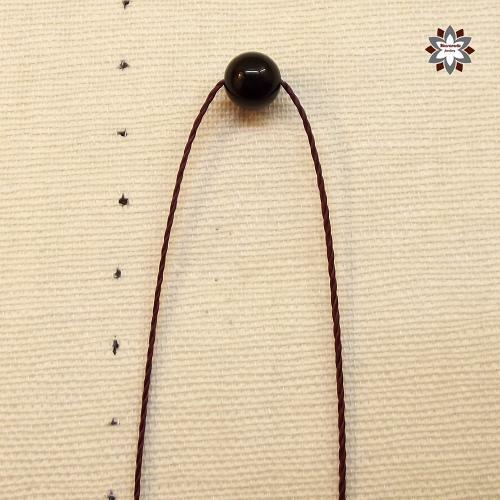 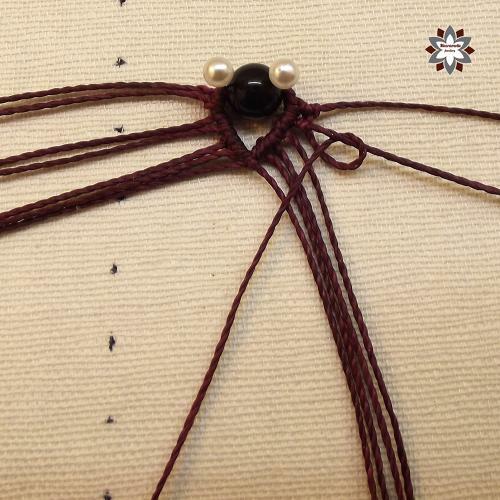 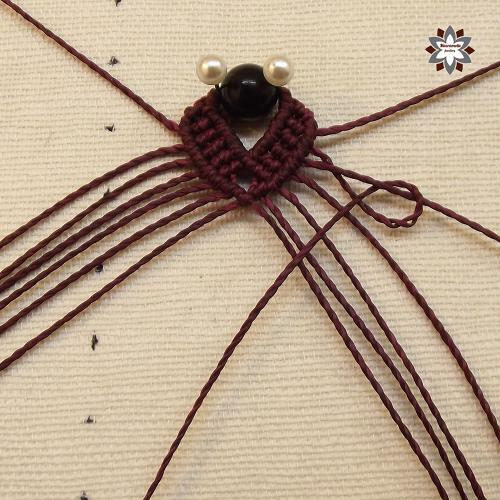 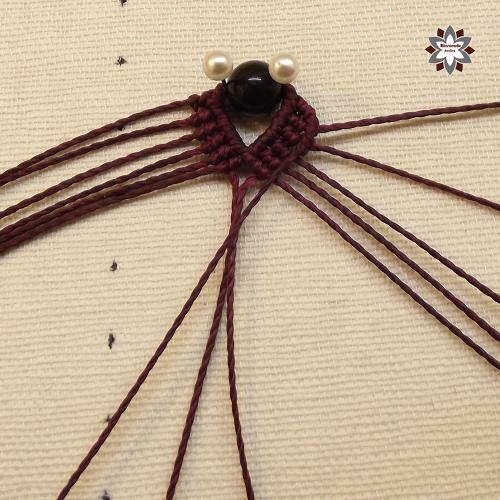 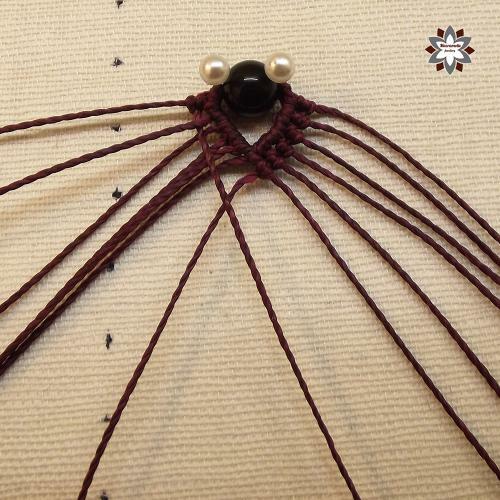 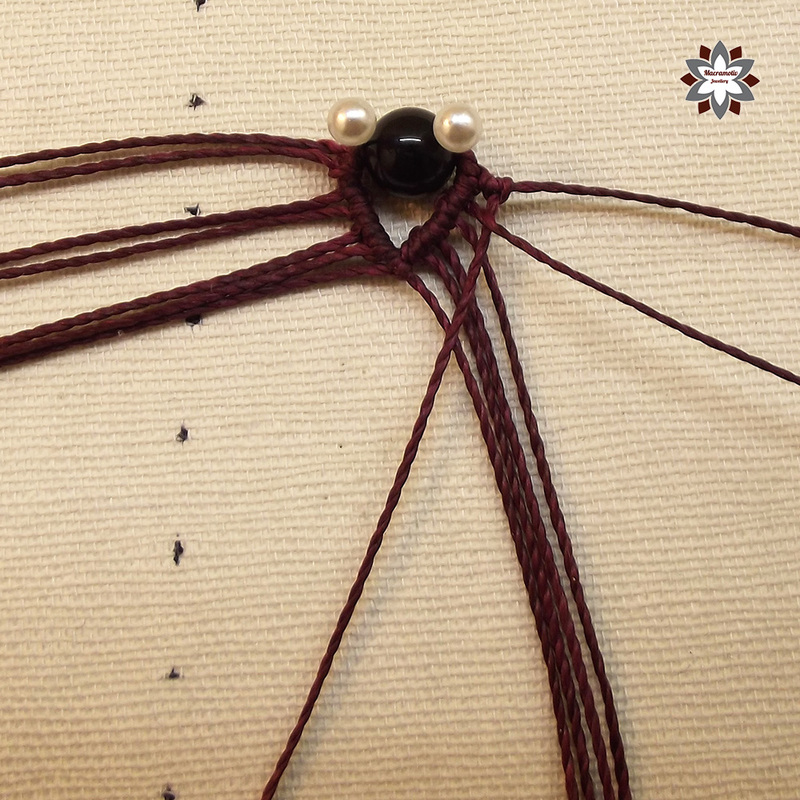 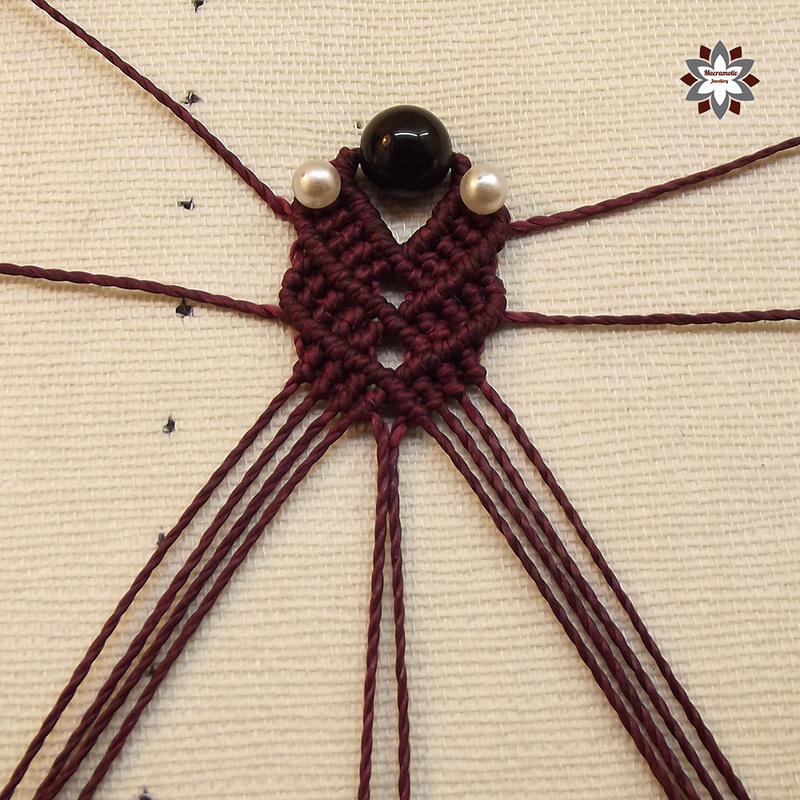 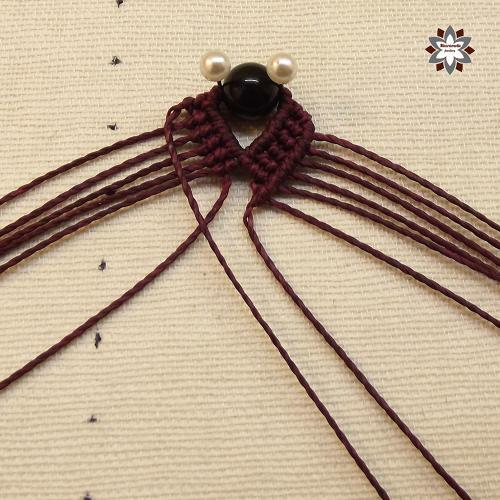 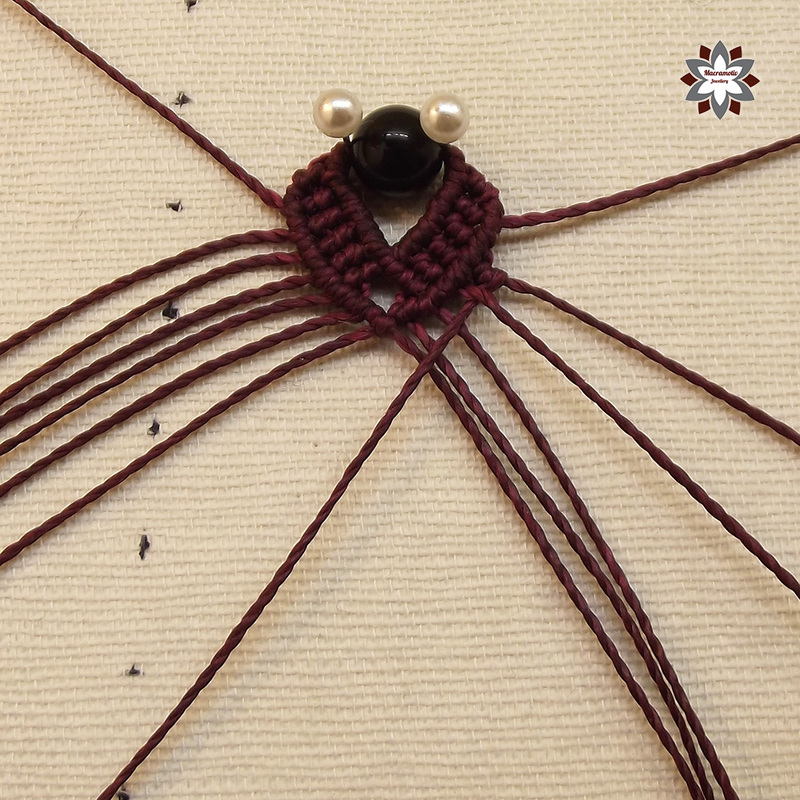 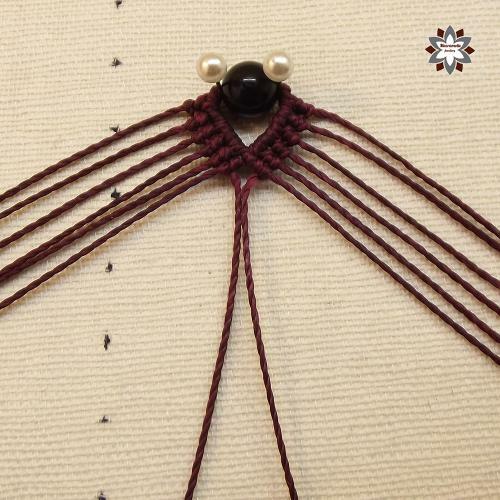 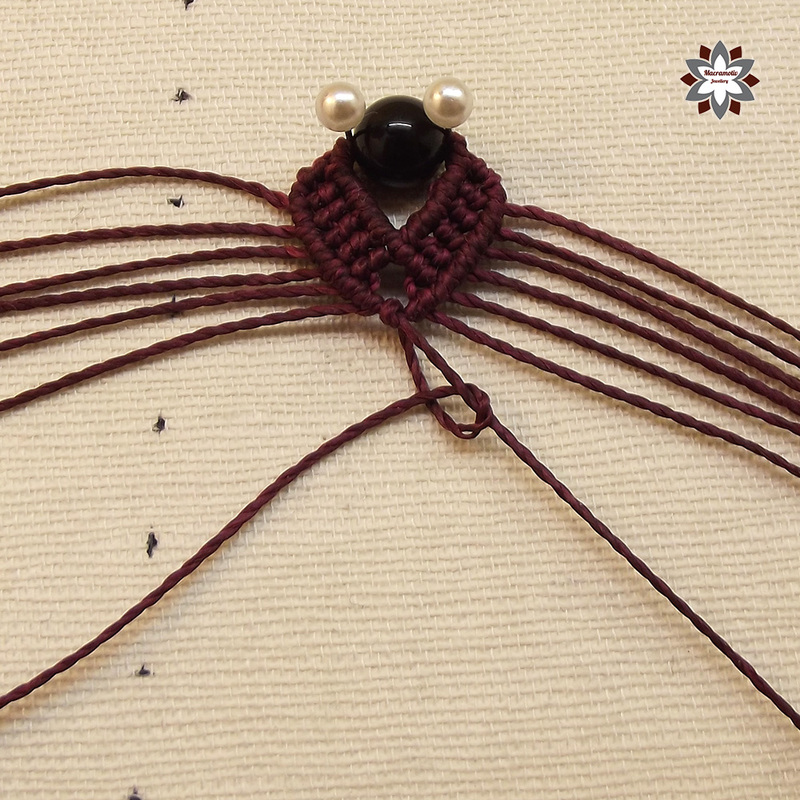 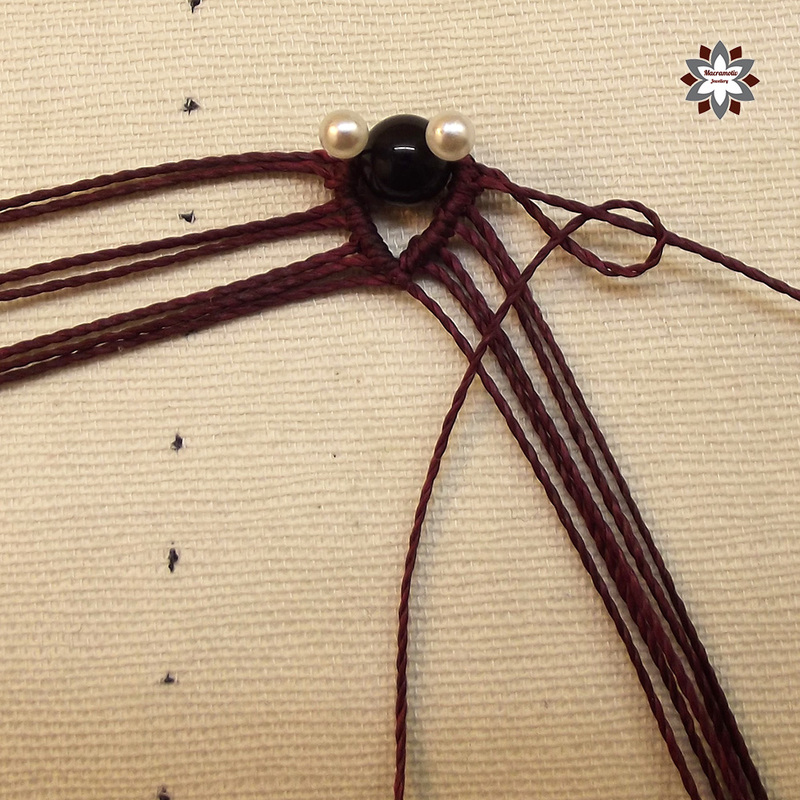 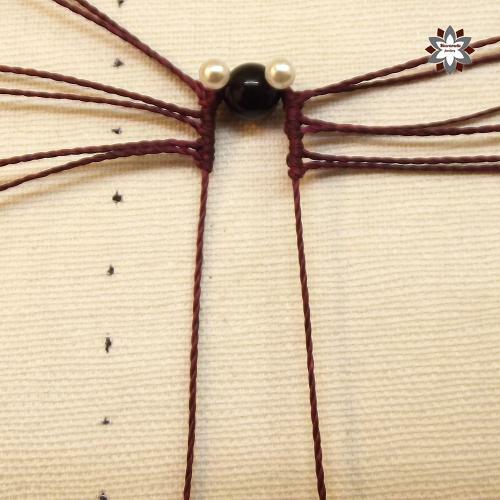 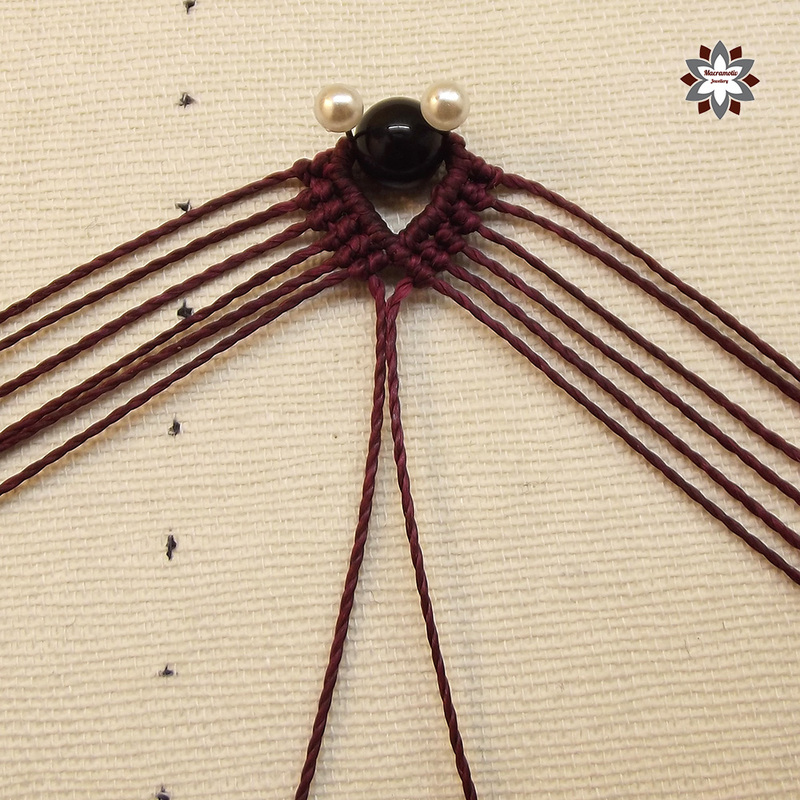 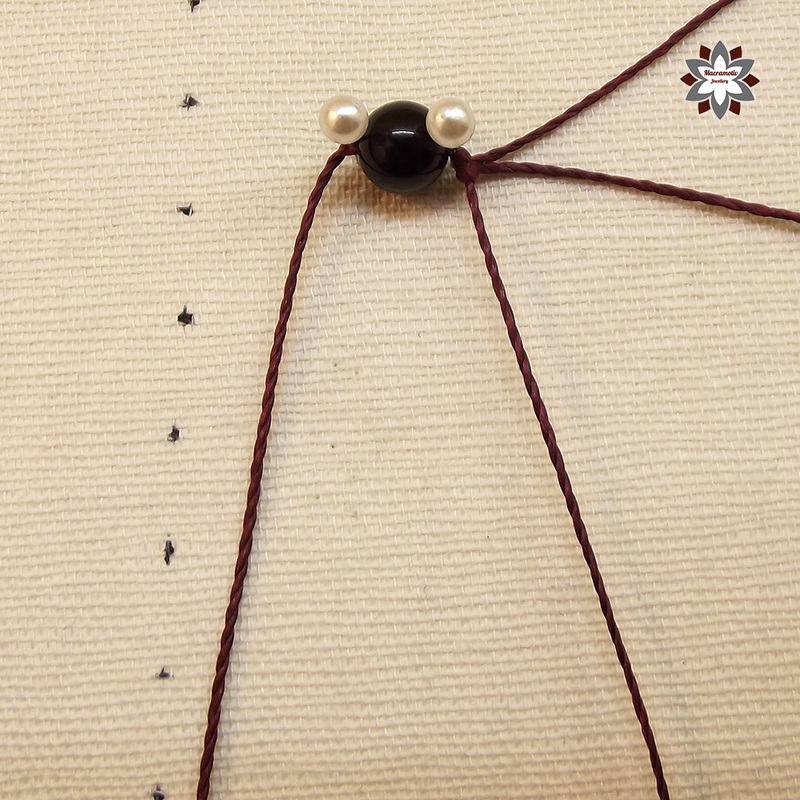 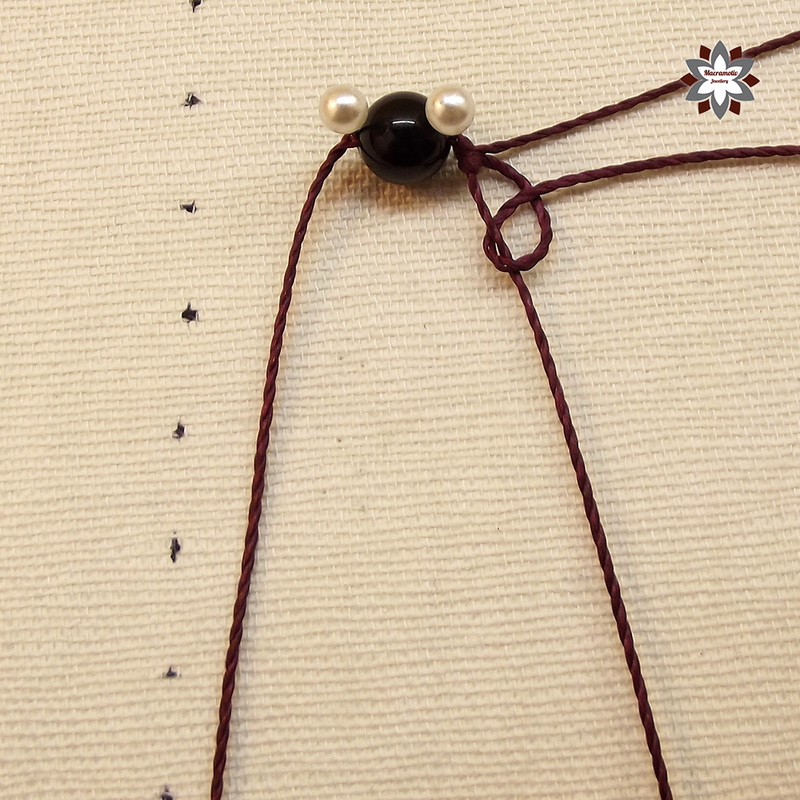 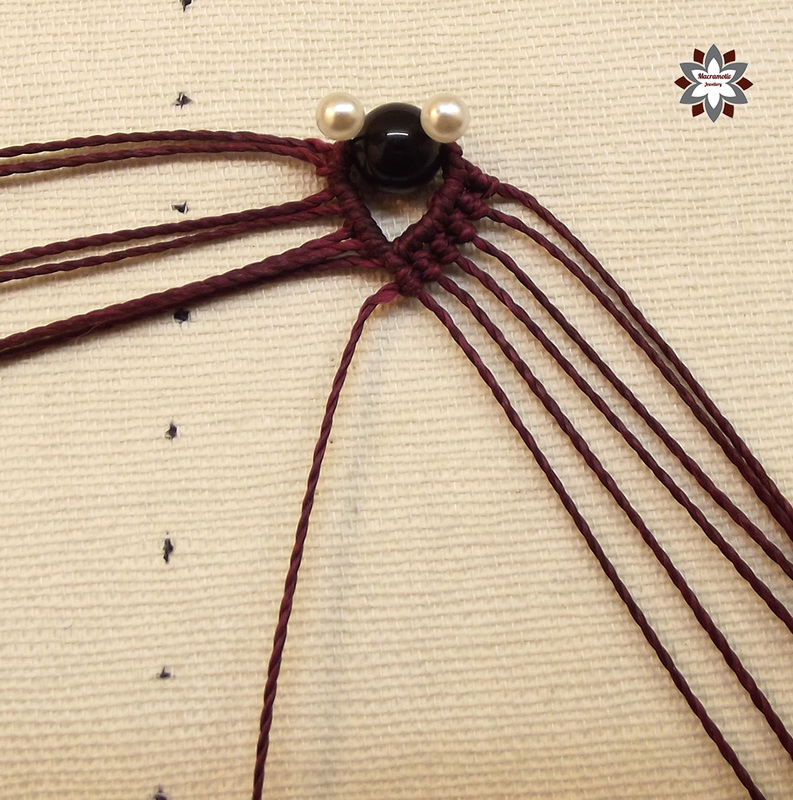 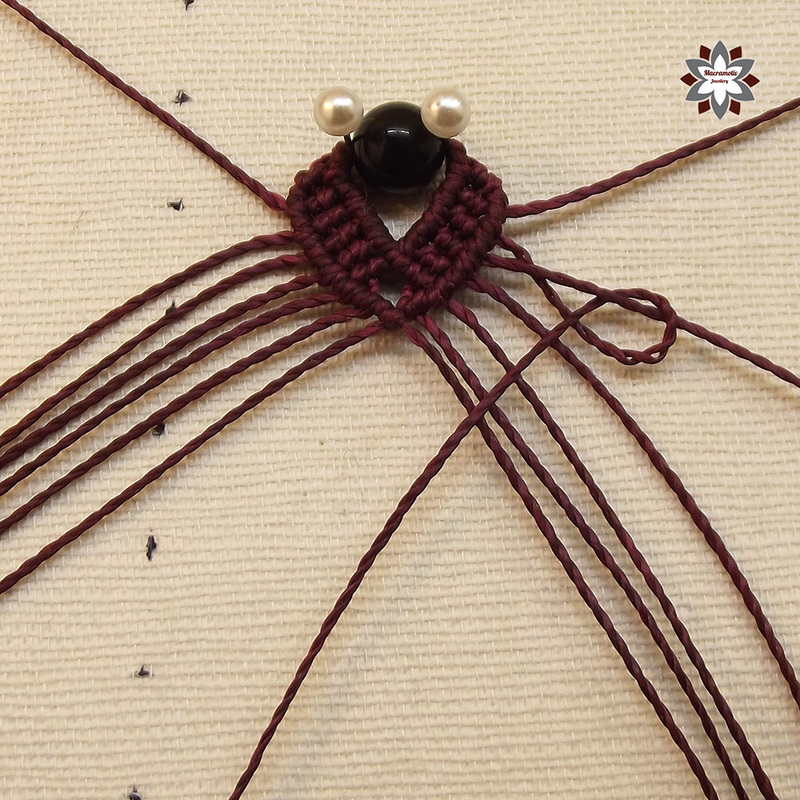 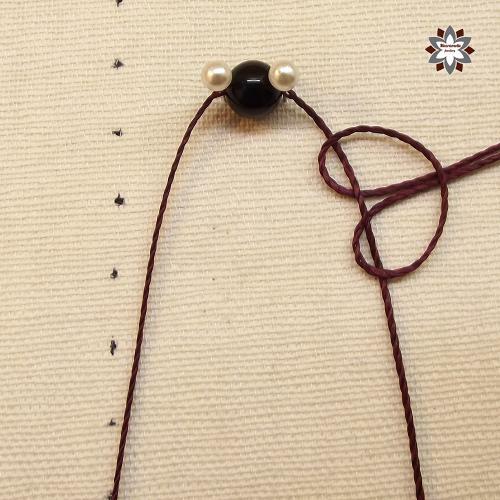 I used Linhasita waxed polyester cord, and 8mm onyx bead, though it would be better to use 1cm size beads.